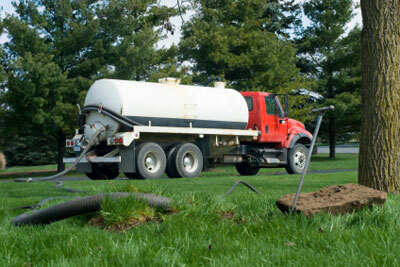 The pumping and cleaning of septic tanks is a highly specialized job that any truck operator will accept quickly. Not only is it physically demanding but also dangerous due to its potential exposure to highly toxic substances and gases. The proper handling of hazardous materials is essential, as it could cause serious illness or death if not done correctly. For these reasons, each septic service must ensure that operators are adequately trained in the safety procedures involved not only in the use of the equipment but also in the handling of toxic materials to protect themselves and others. environment. Septic Pump truck operators must pay maximum attention to two points during handling: during the execution of the actual work, during the emptying and cleaning of the equipment. Both can have equally devastating results if not done correctly, exposing the owners of a company to fines and other sanctions. Even the most attentive operators can have an accident. Therefore, it is essential that all employees are well trained, understand and comply with all corporate security procedures. Below you will find several important points to consider when working on a property. Septic tanks should be opened with extreme caution since solid waste can decompose and release toxic gases that fill the tank. Hydrogen sulfide and methane can cause a large explosion, be extremely toxic and suffocate or kill a person who breathes deeply. Bacteria are also present in the decomposition materials that could be harmful by direct contact. Therefore, it is essential to use safety equipment that includes a respirator, gloves, and protective clothing. Naturally, dangerous gases can explode if sparks or flames occur. It is strictly forbidden to smoke or use any type of flame due to these gases. During the aspiration of a septic tank, operators must be very careful since this procedure requires much more than waiting for a container to be filled. When materials are transferred from the tank to the truck container, gas, pressure, and temperature can accumulate. Any material left in the container with previous work can cause a chemical reaction. Workers should closely monitor the temperature and pressure indicators to detect any problems. Once the septic tank has been sucked safely and successfully, the disposal of toxic waste is the second safety concern. Operators should know where approved landfills are located and should be able to document the type of equipment being transported to avoid toxic reactions, spills or other accidents. All rules established by the landfill or by any government agency must be followed strictly. Vehicle maintenance must be carried out regularly to avoid possible system failures during the diving procedure. Once the tank of the truck is empty, it must be cleaned thoroughly, since leaving a clean truck for the next operation is a very important safety measure. As mentioned above, any material left in a truck tank that can be mixed with new material from a future job could eventually cause a chemical reaction that would cause at least some delays during the treatment of the problem and, what is worse, could blow up the tank. In the end, job security depends on the training of employees and the diligence required for the following precautionary measures; This must be required by each company. Accidents related to septic pumping can seem an unpleasant annoyance; Realistically, it could be much more serious than that. Appropriate safety methods are essential to provide safe and complete septic services and to reduce potential risks!